WeddingWire, the nation’s leading wedding technology company, just announced that Island Essentials Tent & Event Rentals of Emerald Isle has won the 2009 Bride’s Choice Awards™! In its inaugural year, the Bride’s Choice Awards recognizes and honors vendors from the WeddingWire Network that demonstrate excellent quality of service, responsiveness, professionalism, value of cost and flexibility. Island Essentials Tent & Event Rentals of Emerald Isle would like to thank our past clients for speaking on our behalf and helping us win the 2009 Bride’s Choice Award! 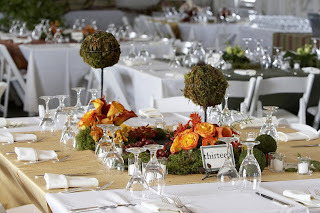 “We just couldn’t be more pleased with receiving this honor from Wedding Wire! Our partnership has done amazing things for our customers and our business” says Jamie Wax, the Owner of Island Essentials Tent & Event Rentals.